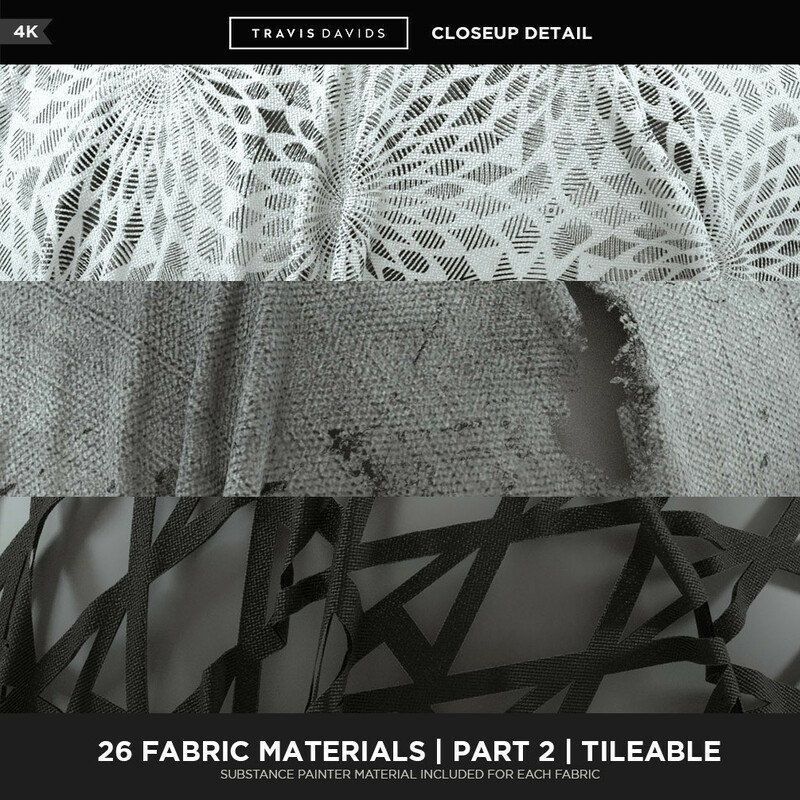 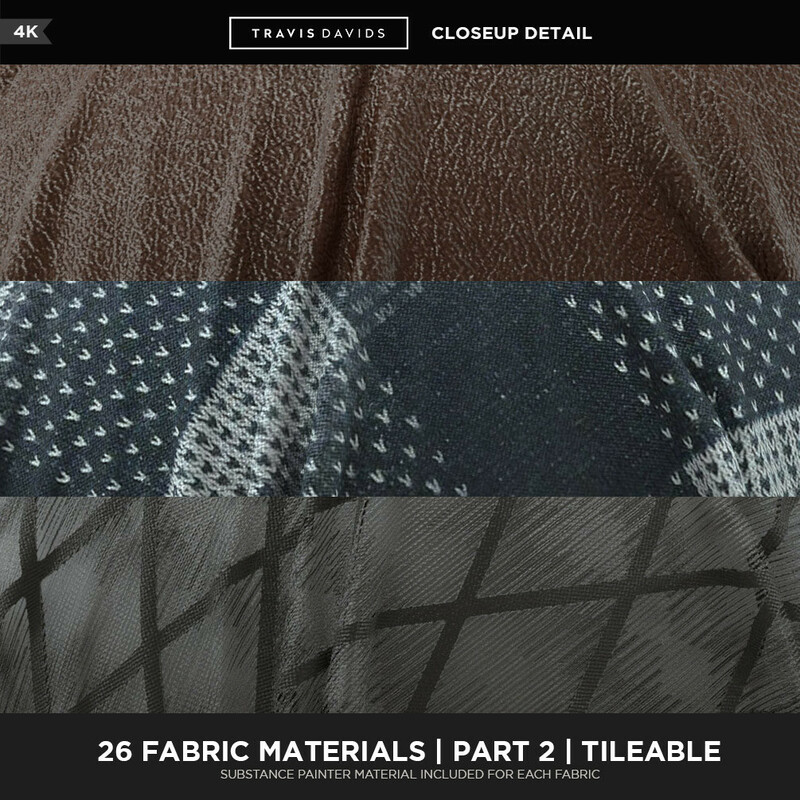 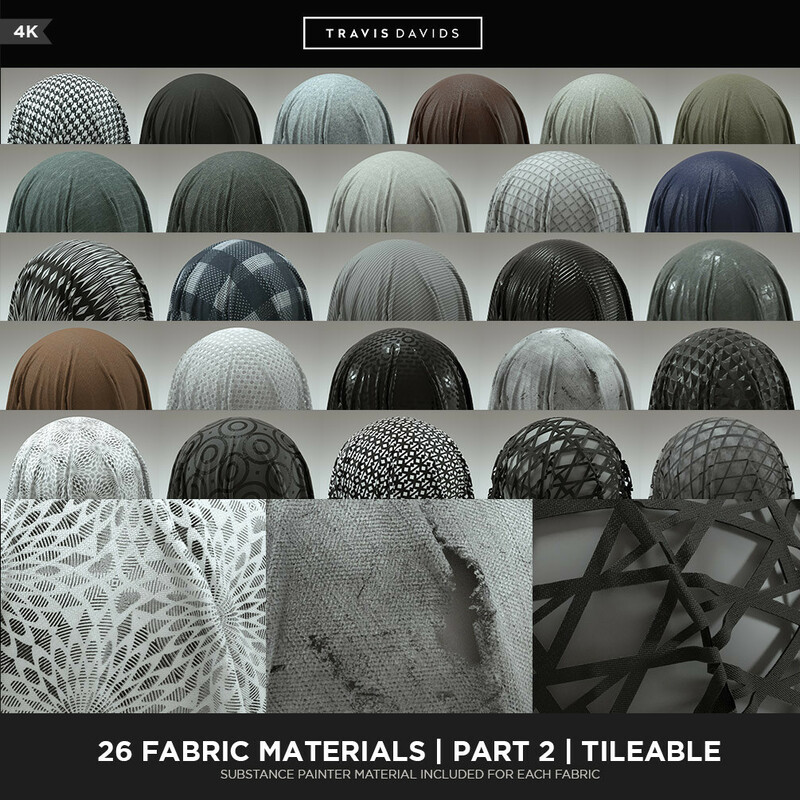 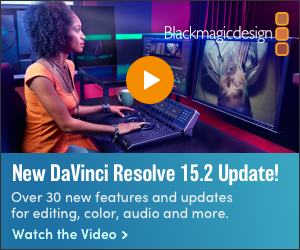 [ #Material #SubstanceDesigner #SubstancePainter #cinema4d #Photoshop #Product #news ] Travis Davids has created this Fabric asset pack which includes 26 tileable fabric materials at 4K resolution. 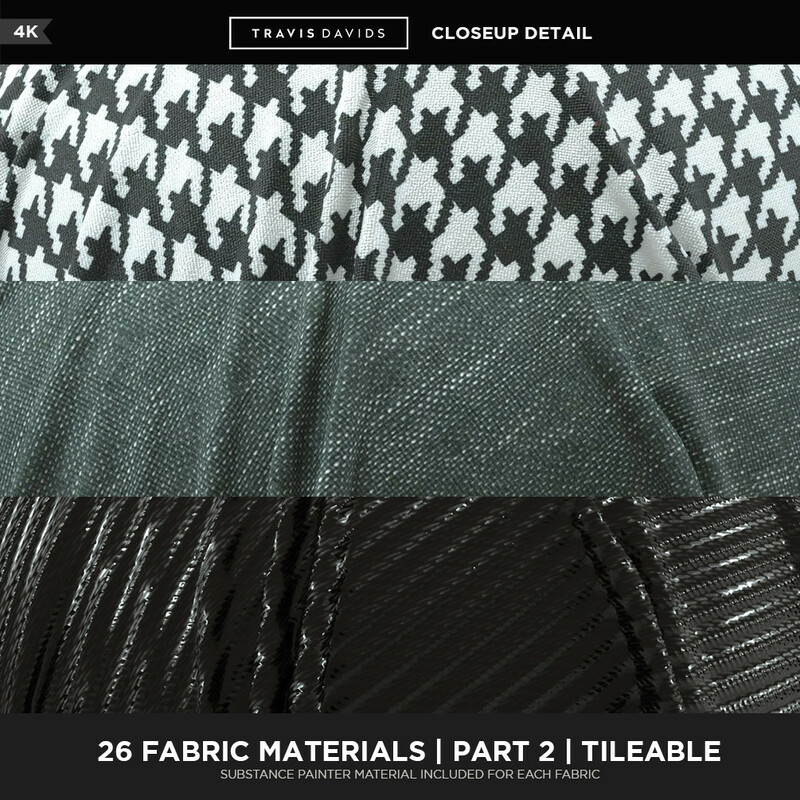 There is also a substance painter material provided for each fabric and all materials were scanned and enhanced with Substance Designer. 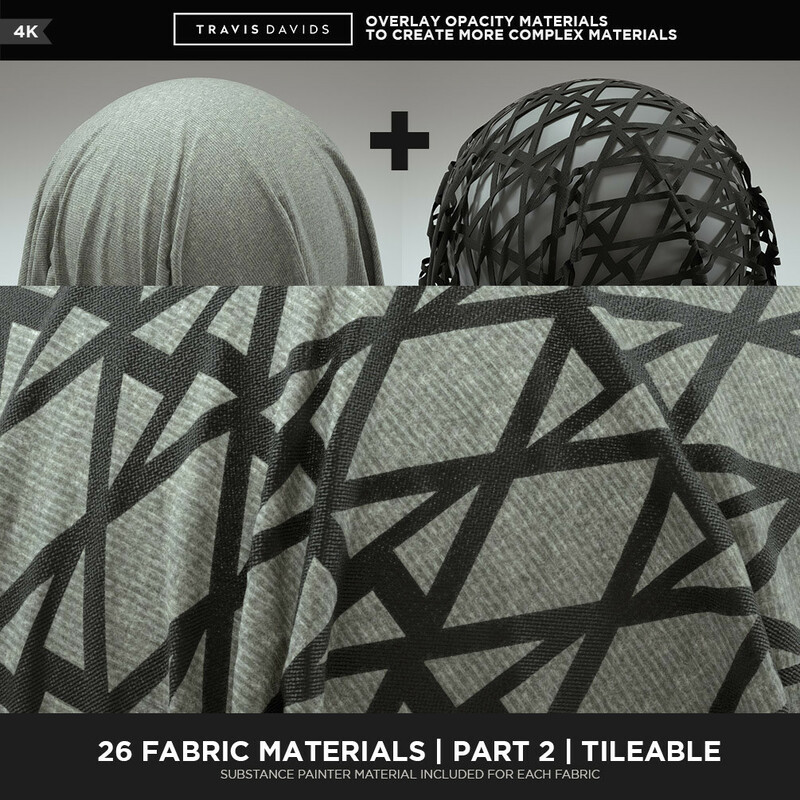 These are meant for clothing but they could also be used for environmental props like blankets, curtains, carpets etc. 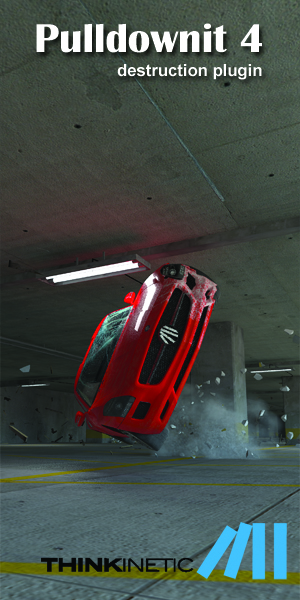 The Part one of the asset can be purchased for $9, while the Part two goes for $9.99.